What started as a routine international meeting of 300 scientists, government officials, climatologists and activists in Toronto turned into an urgent call for action on the threat of global warming and climate change. Well actually it wasn’t last year or even last decade. The meeting was held in 1988 and it was reported in the special issue of the New Internationalist magazine Global Warming: how to turn down the heat. Ahhhh. Did someone really say our action on climate change should be slowed? The New Internationalist mini-eBook Climate Change Denial provides some memorable tools for debunking the myths of the climate change deniers. 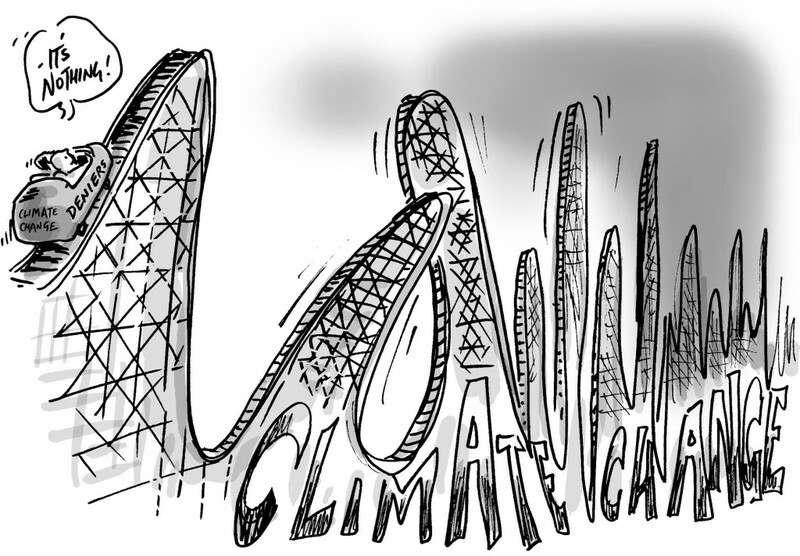 This entry was posted in Cartoons, Environment and tagged activism, cartoons, climate change, environment by Simon Kneebone. Bookmark the permalink.